A wealth of expertise in the international space business over 25 years with experience of working across all aspects of print and electronic media, as well as with in corporate and space agency offices in the UK, across Europe and in the United States. ESA (European Space Agency) in France, Germany and Holland, writing and producing, publicity material including many mission newspapers for human spaceflight missions on the Space Shuttle and International Space Station, as well as providing features and news articles for the agency’s website. EUMETSAT (European Organisation for the Exploitation of Meteorological Satellites) in Darmstadt, Germany – producing newsletters and annual reports. International Astronautical Federation (IAF) – extensive writing and editing support for annual International Astronautical Congress, including working on marketing material and providing news reports for website during conferences. I provided IAF website news and features for the annual International Astronautical Congresses in Naples, Italy (2012), Beijing, China (2013) and Tornoto, Canada (2014). British Interplanetary Society, London – editor of monthly Spaceflight magazine for 11 years until 2012, building team of international contributors, writing and editing articles and news, supervising layout and design, and handling print – and representing Spaceflight at major international events and conferences. 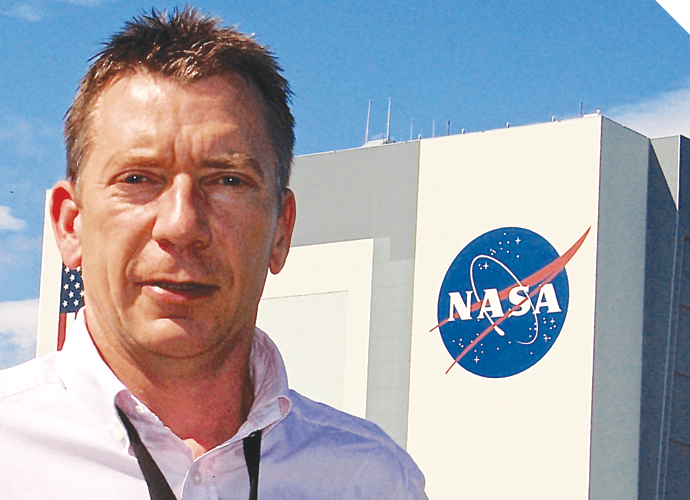 I have contributed many articles to magazines, books and websites and currently write regularly for AIR International – see a recent feature ‘Skylon – Britain’s future in space?’.